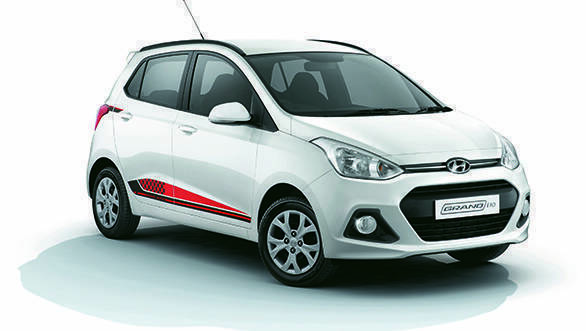 Hyundai Motor India Limited has unveiled a special edition of the Grand i10 to celebrate 20 years of the company's existence in India. The special edition Grand i10 is priced at Rs 5.68 lakh (ex-Delhi) for the 1.2-litre Kappa dual VTVT petrol variant, whereas the prices for the diesel variants (1.1-litre U2 CRDi) begin from Rs 6.6 lakh (ex-Delhi). The special edition will be available in the Sportz trim only. The car features a rear spoiler, body graphics and a blacked out B-Pillar to highlight the glass area. The interior features a dual-tone, red and black interior and a 6.2-inch touchscreen audio-video system. Speaking at the introduction of the anniversary edition Grand i10, Rakesh Srivastava, senior vice president, sales and marketing, Hyundai Motor India Limited, said, "Grand i10 has been a trendsetter and India's most loved hatchback winning many awards, including the most coveted Indian Car of the Year 2014. 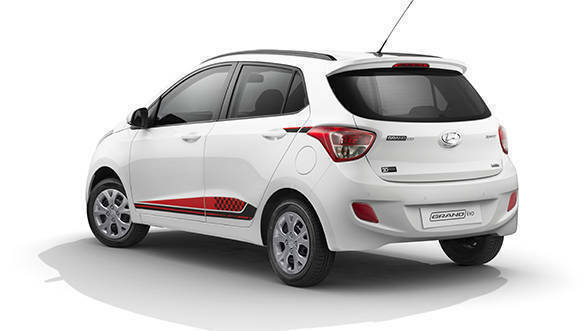 Introduction of Grand i10 special edition will further enhance the value proposition of the product and aims to achieve the highest customer satisfaction." The Grand i10 is one of Hyundai's top-selling cars, and this special edition brings in a fresh set of features to heighten the appeal of the car.